What can’t coconut oil do? It’s one of those cult products that people use for almost everything—haircare, skincare, cooking, healthcare, the list goes on. I honestly don’t go a day without lathering pure, 100% extra-virgin coconut oil all over my face. It’s so moisturizing, and I’m addicted to the healthy glow it leaves behind on my skin. I’ve suffered from eczema since I was a little girl and have severely dry skin, so coconut oil has been my saving grace for, like, ever. It’s also my go-to method for removing makeup when I run out of cleansing wipes. With the endless uses for coconut oil floating around, the unexpected ones can easily get lost in the shuffle. For instance, using coconut oil for nails is something we’ll all benefit from. Brittle nails lead to broken nails, and you have to put in the work to keep your nail game strong. Incorporating coconut oil into your nail routine will hydrate and strengthen your cuticles, amp up the growth, help your mani last longer, and act as a natural remedy for ridding your nails from any sort of fungus. To get the full scoop on coconut oil’s magical powers, we called on nail expert and celebrity manicurist Skyy Hadley. Read on for everything you need to know about this miracle oil. If you’re wondering exactly how you should apply this coconut oil to your nails so that it really works, we’ve got you covered. For nail growth and strength, Hadley suggests massaging extra-virgin coconut oil onto your nail beds in a circular motion before you go to sleep. To show your cuticles some extra attention, rub coconut oil directly on top of them and let it penetrate for at least 30 minutes. 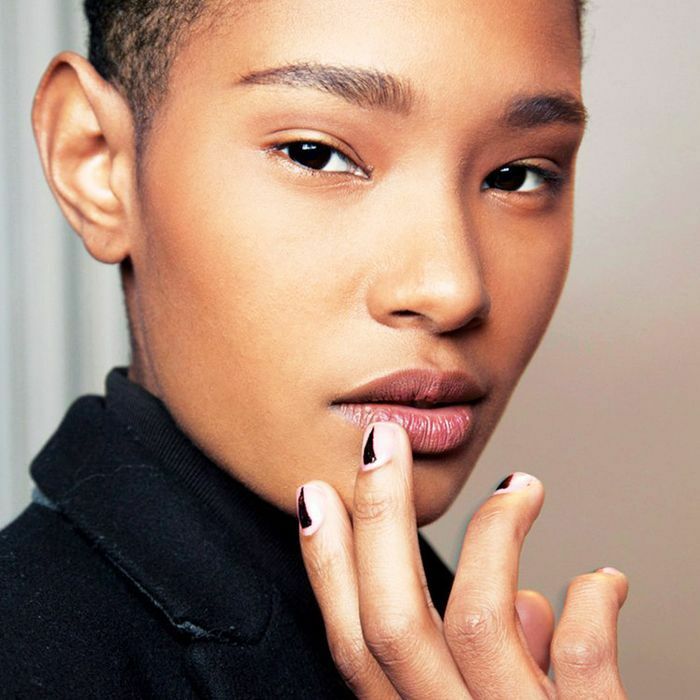 “You can certainly go as long as you want without washing coconut oil off your cuticles—the longer, the better. Doing this will help strengthen your cuticles, moisturize the skin around your nails, and get rid of hangnails,” Hadley explains. If you have a nail fungus on your hands or toes, coconut oil is a natural alternative to try. “Massage the oil gently on the affected nail area once it’s been thoroughly cleaned and dried. Repeating this twice a day is the most sufficient method until the fungus goes away,” Hadley says. If you really commit to this coconut oil ritual in your beauty routine, you could feel (and see) a noticeable difference in your nails in a few weeks. “To ensure you’re strengthening your nails, using coconut oil two to four times a week to gain stronger and healthier nails will do the trick,” Hadley confirms. 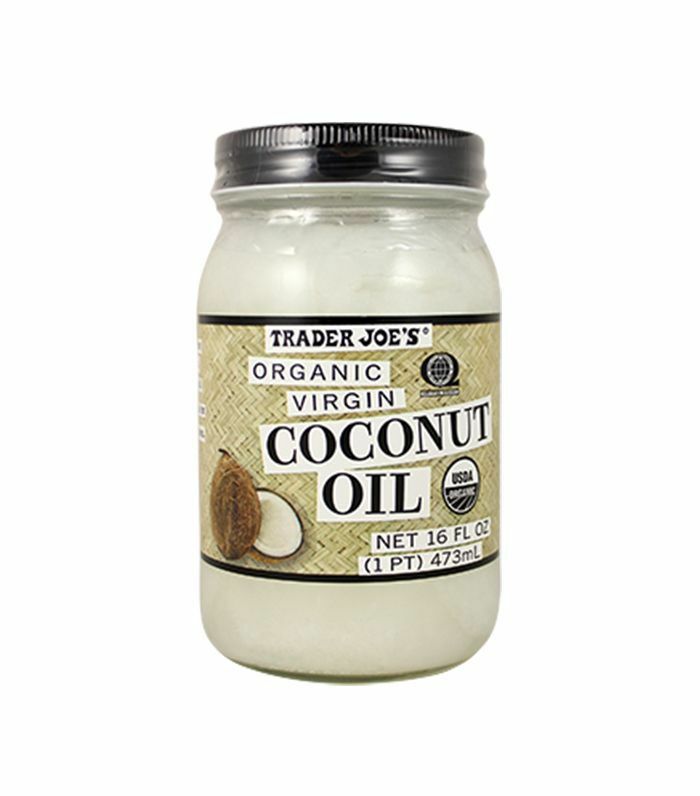 Step one is heading over to your local Whole Foods or Trader Joe’s to grab some pure, extra-virgin coconut oil. Coconut oil in its raw form will offer the best results. Trying to amp up your nail game even more? 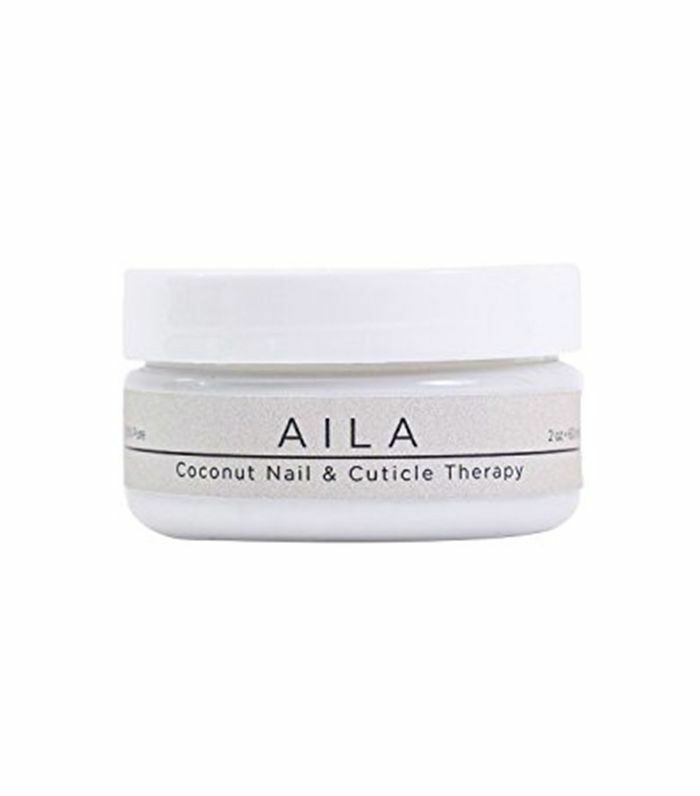 Hadley recommends Aila’s Coconut Nail & Cuticle Therapy. “It’s 100% natural and organic. It’s also a powerful antioxidant, offering effective anti-aging protection that gently nourishes and soothes your nails,” she says. Next up: the other fascinating benefits of coconut oil you need to know about.